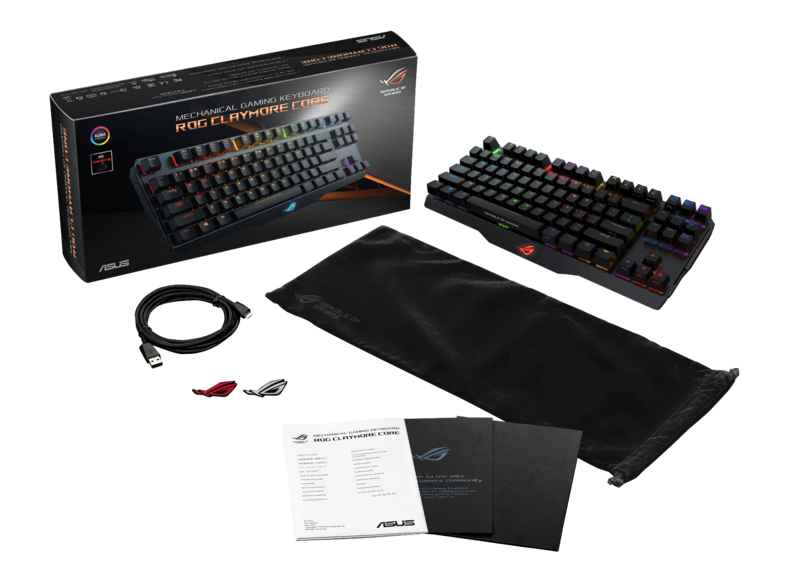 ASUS ROG latest keyboard is the world’s first RGB LED-backlit keyboard with a detachable numpad for flexible placement and a minimal footprint. The detachable keypad can be placed to the left or right of the keyboard to suit different scenarios — on the left side of the keyboard as macro keys for MMO gaming, or on the right for a more traditional keypad placement. Or if you want to bring it about, simply leave the numpad at home. There will also be another model: the ROG Claymore Core which is a compact TKL mechanical gaming keyboard and does not have a detachable numpad. If you use an ASUS motherboard, you have access to exclusive cooling fan controls hotkeys, and also synchronized lighting on ASUS motherboards and graphics cards. You can even use Claymore’s backlit keys to reflect CPU temperature.